Similar to what I did in January for Robin‘s birthday, here are Karin‘s pics. And no, I wasn’t trying to be “artistic” in those with the twisted angles – I was just dodging the cameramen who were filming for the videowalls (or some tv broadcast – hey, it’s been almost 4 years, my memory isn’t THAT good ). I miss them – as an active band, not the old line-up – but I know they needed the break, even before John and Karin‘s babies were born. They will come back one of these days and I’ll be there – screaming the lyrics, jumping, headbanging and, of course, shooting, with a big smile on my face. A heartfelt thank you to Soile, Mike and MJ. No matter what, I’ll be eternally grateful for those days. 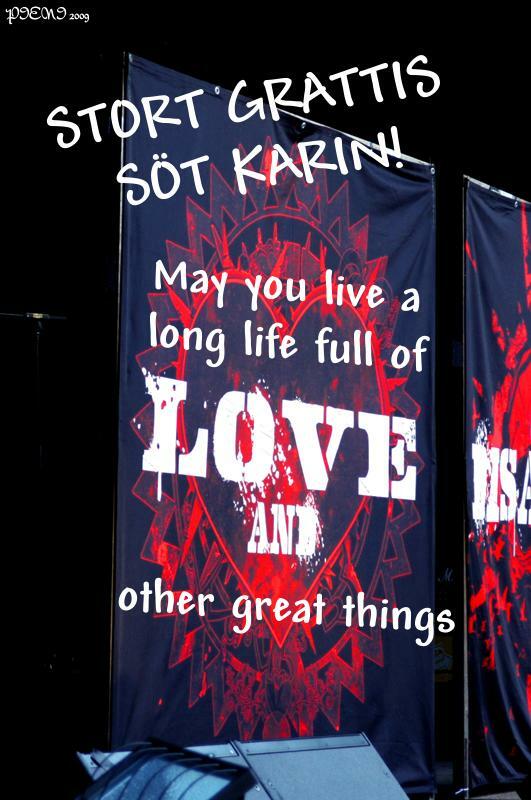 This entry was posted in Concerts and tagged Karin Axelsson, Sonic Syndicate. Bookmark the permalink. dang, pressed enter before finishing my comment… I love the photos! great work!!! !